The case is still running, but a court has now ruled that there was no need for Dmitriyev to remain in detention and on 27 January he was released from custody on condition that he not leave the country. 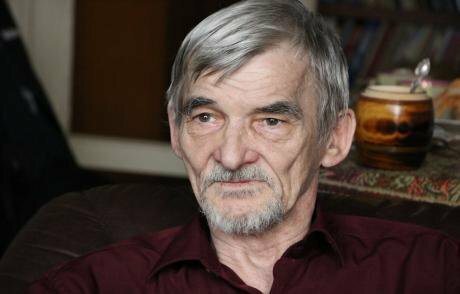 Dmitriyev returned home on the eve of his 62nd birthday. Here’s my interview with him. You had your birthday the day after you were released. How did you spend it? The usual way, among family and friends. It was great. Write that down. Still, this birthday must have been special somehow. What was special about it? When you get to 50, you realise that every birthday just brings you closer to the next big event. Cake, coffee, strong tea. Also among friends, you could say – cellmates. There was no particular celebration, of course: no singing along to a guitar. But there was tea and coffee and we organised a slightly better dinner than the usual prison fare. They weren’t strangers. We had lived together for several months. People are herd animals. From the morning on, people would joke, “Happy jam day!” [the Russian word for “jam” rhymes with “birthday” – ed.] They all wished me freedom, an end to this nightmare. Did you know that single person pickets were taking place in Petrozavodsk, the capital of Karelia, on your birthday? Yes, yes. Katerina [Dmitriev’s daughter – ed.] told me. I really appreciated it. This year your family and friends that you spent the day with gave you a new computer as a birthday present. Have you got your head round it? I’m doing my best, but I’m scared of breaking it. I’ve been reading everything that’s been written about me over the last year — all the different opinions and tendencies. But as soon as I get some idea of how the computer works, I’ll start getting on with my book again. I need to find all the documents on my case; they’re somewhere around. You’re talking about the book you were working on before your arrest? That’s right, the one about the “special resettlers” [people exiled to remote regions during the Stalin era without any legal formalities – ed.] in Karelia. There were about 126,000 of them, dispossessed kulaks, and the government sent them here and forgot about them. 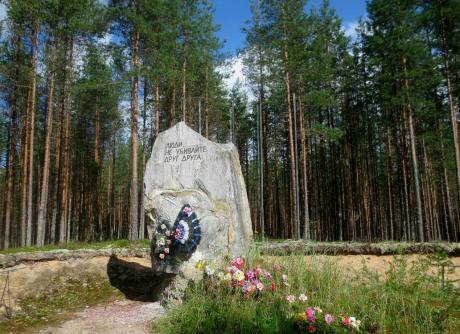 Half of them died, but their descendents still live here and make up about a quarter of the Karelian population. I want to tell them about their grandmothers, great-grandmothers, great-grandfathers. Where they came from, where their roots were, their family home. I’d also tell them how their relatives were brought here, dispossessed in the place where they grew up. And what was done to them here, how they were starved to death and where their graves are. 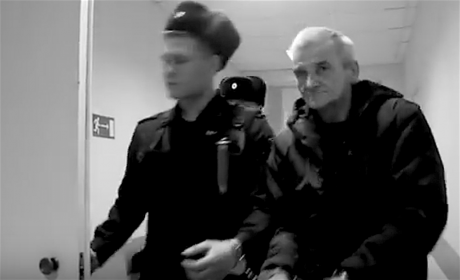 Yury Dmitriyev is brought before court in Petrozavdosk, March 2017. Image still via YouTube / Semnasem. Some rights reserved.When I get the book finished, I’ll shave off the poor remnants of my beard. And then I’ll grow a new one. So you grow a beard when you write a book? When I have some important project in my life. I grew my first beard when my eldest daughter was in her mother’s womb: I decided not to shave or have my hair cut until she was born. So it went on. And my books are like children to me. And the long beard you are wearing in a lot of photos, that was the result of a long term project? Alas, yes. I thought I would get through the work on the “special resettlers” in three or so years. It was supposed to be a joint project, but the government couldn’t find the cash and I had to do it on my own. And what three or four people can do in one year, it takes three-four years for one person to do. Even longer, in fact. So how long did you work on the project? There was more material to sift through than in any other project: there were 126,000 people, after all. "The most traumatic places are the cemeteries that aren’t yet cemeteries. I know where they are, I know the people who are buried there, but the site is still untouched"
And how long do you need to finish it now? I think three months should be enough. I need to work out how much stuff still needs going through. Back in 2016, before I was arrested, I could probably have finished the book off in a month, but now I’ve forgotten where I left off, what’s there and what isn’t. I need to remember all that. So I’ll take a month just to reset my memory and then two more months to finish the writing. Let’s have a look at the other side of your work, the non-writing part. Because you don’t just work with documents: you also search for the execution and burial sites of the Stalin regime’s victims. Is there a particular site you have discovered that is particularly precious for you for some reason? The most traumatic places are the cemeteries that aren’t yet cemeteries. I know where they are, I know the people who are buried there, but the site is still untouched. I need to go back there, find someone who I can enlist, drag there, somebody to argue with. I need to force the authorities to do something, however nominal, to stop these places disappearing without trace. Hardly anyone remembers about them already, and not much time has gone by yet. I want to find the relatives of the people buried there and say, “Listen, your families are lying there – do something, anything!” Because the authorities aren’t going to lift a finger. “People, do not kill each other” - the inscription on the monument to victims of Stalinist repressions at Sandarmokh, Karelia. Photo courtesy of Natalia Shkurenok. All rights reserved. I think that it might be easier now for you to draw this to public attention and even get a team together to help you. People have helped me in the past and are still helping me, but I have no right to force or burden anyone. Because then you are dragging someone into something that they might have to suffer for later. They won’t know yet that this subject is a dangerous one in Russia. So I have no right to set anyone up or force them into anything. Yes, there are people who help me. But they don’t advertise it, and neither do I. On 31 January you received an Andrey Sakharov Prize “For Courage”. I’m a little puzzled about what’s it for. For being in prison? Anyone can find themselves in prison, it doesn’t take much courage. On the one hand, it is very pleasant to be noticed by colleagues who do the same kind of work, the establishment or protection of memory. But believe me, Tolya Razumov [a historian and head of the Russian National Library’s Returned Names centre] did an awful lot more than me. I was at Sakharov’s funeral, that’s true. Let’s hope I’m worthy. No, not the prize. Of Sakharov’s memory. The prize is… Listen, we come naked into this world and we leave it naked — we don’t work for medals and awards. It’s nice when friends, other people who work in the same field and are also passionate about history, recognise your work. But I don’t feel that I’ve earned it yet. At some point in the last year people started actively discussing your case and there was clear support for you. Everyone was writing, asking how they could help. But not many people here in Karelia were prepared to come to the courtroom and support you openly. Were you not disappointed about that? No. My friends came. But my friends are few and far between. And Karelians are, in general, an uptight lot. But it’s partly my own fault: I’ve spent the last ten years writing my book and more or less ignoring everything else. I never gave lectures or talks; I didn’t have time to write articles. But when I finish the book, about a quarter of the population of Karelia will know about their roots and at last be able to think about why they were sent here, who decided they weren’t wanted back home. And if they start thinking about it they will begin to understand that their present reticent character comes from that. This year, I was astonished most of all by a transformation, someone who turned from a quiet contemplative person into a fighter. I’m talking about your daughter Katya, who suddenly took on her father’s life’s work in his absence. How do you think she has changed? I remember her first interview in December 2016: it was all “I don’t get involved”, “it’s Dad’s thing”, “I know it’s important but I’m not that interested”. But now she’s completely engaged with it and says she understands much better what’s going on and what it’s all about. - What are you sitting there for? Why don’t you go out for a walk somewhere? - I don’t have time. - Or take the car out for a run. - What use is all this computer stuff anyway? Now they’re starting to realise that Dad is doing work that is useful. You just need to step back to see it. Are you proud of your daughter? I don’t bring up bad children. When the police investigator asked, “Haven’t your children turned their back on you?” I replied, “If you bring them up properly, none of your children will turn their back on you. There’ll be no Pavlik Morozovs in my family”. Did you tell your cellmates that you were researching Stalin’s repressions of the 1930s? Were they aware of what went on then? Some were, some weren’t. Some of them hadn’t heard anything about it before. I told them about the prison walls, the corridors, the doors, the peepholes, the bars on the windows. I told them who had been imprisoned here, and I told the warders about it all as well. I said to them, “Do you know what it was like in 1937? Twenty seven officers, including the prison governor, were marched out into the Krasny Bor forest [near Petrozavodsk, the topic of one of Dmitriyev’s books] and shot. - They knew too much. - But I don’t know anything. - Believe me: they thought they didn’t know anything either, but they had in fact quickly formed a counter-revolutionary organisation and were shot for it. - But they were innocent! - Exactly. And those who were imprisoned here, were they not innocent too? Read Natalia Skhurenok on the case against Yuri Dmitriyev.